The Vivo X20 Plus is the bigger version of the Vivo X20. You can check the specs review, price and where to buy the Vivo X20 HERE. If you have, let’s walk down the Vivo X20 Plus garden together. The Vivo X20 Plus is a really big smartphone, almost as big as a tablet. 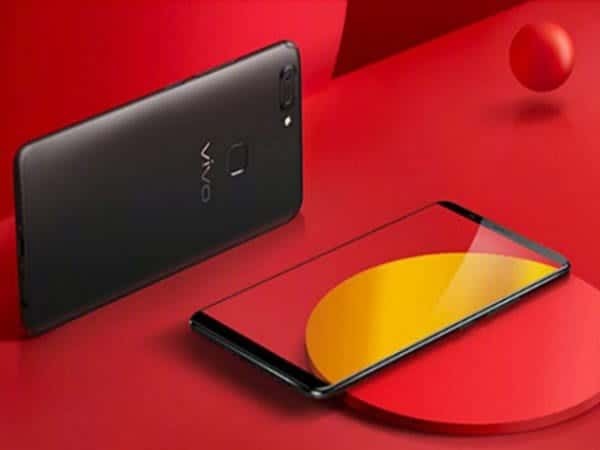 The device share the same design as the Vivo X20 but upon closer look, one would notice that the Vivo X20 Plus sports thinner bezels than the Vivo X20. Coming in at a weighty 182 grams and rocking a 165.3 x 80.1 x 7.5 mm body dimension, the Vivo X20 Plus isn’t that device for those who prefer to operate their smartphones with one hand. The fingerprint scanner, dual primary cameras and loudspeaker are situated on the back while the secondary camera (which is also in charge of facial recognition for device unlock) is located at the front, above the display. The Vivo X20 Plus has a large 6.43 inch Super AMOLED Full HD capacitive touchscreen with a resolution of 1,080 x 2,160 pixels. Due to the screen size, the device comes with a reduced pixels density (376 pixels per inch) compared to the Vivo X20’s 402 ppi. In terms of processor, operating system and storage capacity, the Vivo X20 Plus is no different from the Vivo X20. The device uses the same Qualcomm Snapdragon 660 chipset as the X20, runs on the same Octa core Kyro processor, and has the same 2.2 GHz clock speed. The device retains the same RAM and ROM size at 4 GB and 64 GB respectively and also comes out of the box with the Android v7.1.1 Nougat OS. Using a [eafl id=”24796″ name=”Jumia NG Memory Cards” text=”memory card”] in the second SIM card slot, the device storage can be expanded to the region of 256 GB. The Vivo X20 Plus comes with the same 12 MP and 5 MP dual camera combination on the rear like the Vivo X20. On the front, the single 12 MP secondary camera takes selfies, video calls and also unlocks the device by scanning the users face. The face unlock is said to be a rival to the iPhone X facial recognition system as it unlocks the Vivo X20 Plus on 0.1 second and scans about 128 features of the face before unlocking. The Vivo X20 Plus comes with an improved 3,900 mAh non-removable Lithium Ion battery. The device comes with an unspecified version of Quick charge so there should be no worries of battery deficiency or poor battery life on X20 Plus. The Vivo X20 Plus was launched in September 2017. The device is presently available on pre-order but official sale begin on the 30th of September, 2017.